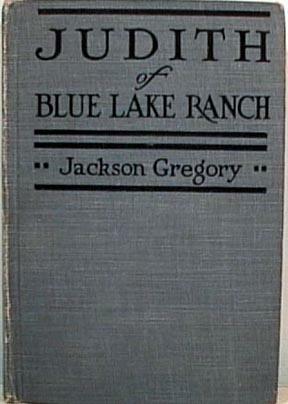 "Judith of Blue Lake Ranch" by Jackson Gregory. Hard Back - Illustrated Cover. 1920 Edition published by Grosset & Dunlap. This book is in very good condition. 393 pages with illustrations by W. Herbert Dunton.